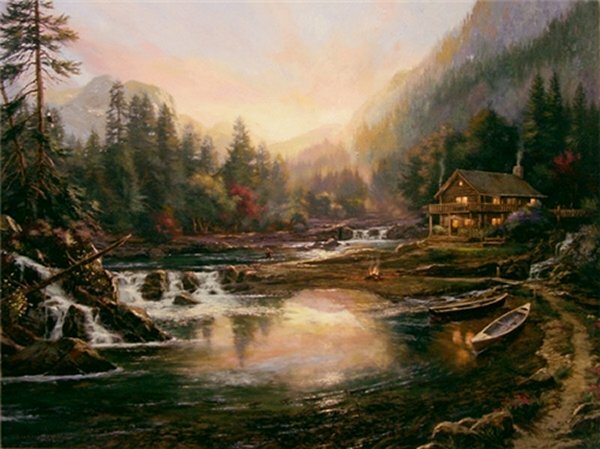 My Retreat by Nenad Mirkovich ~ Mirkovich says the varied subject matter and styles he uses in his work are not so different as they first seem, however. His paintings comprise juxtapositions of opposites—high drama with peaceful beauty, darkness and shadow with light and sunshine, movement with quiet. In a face or in a landscape, the elements that provide the surprise are much the same.